I am using QGIS 3.4 (just updated) on a Mac OSX Mojave 10.14. I am trying to use the grass function "v.net.centrality" but I keep getting an error. 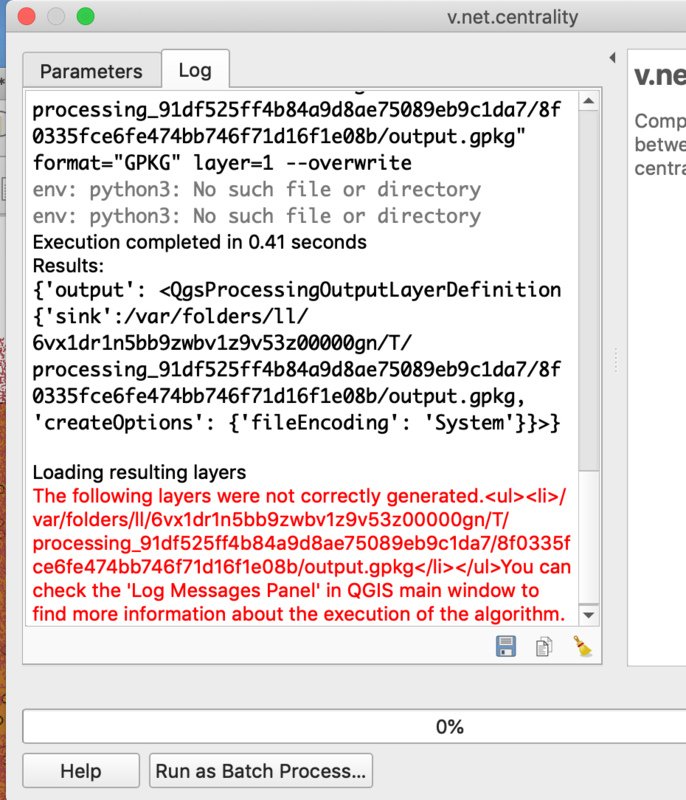 The error is ... env: python3: No such file or directory. How can I fix this? Browse other questions tagged qgis grass qgis-grass-plugin or ask your own question.